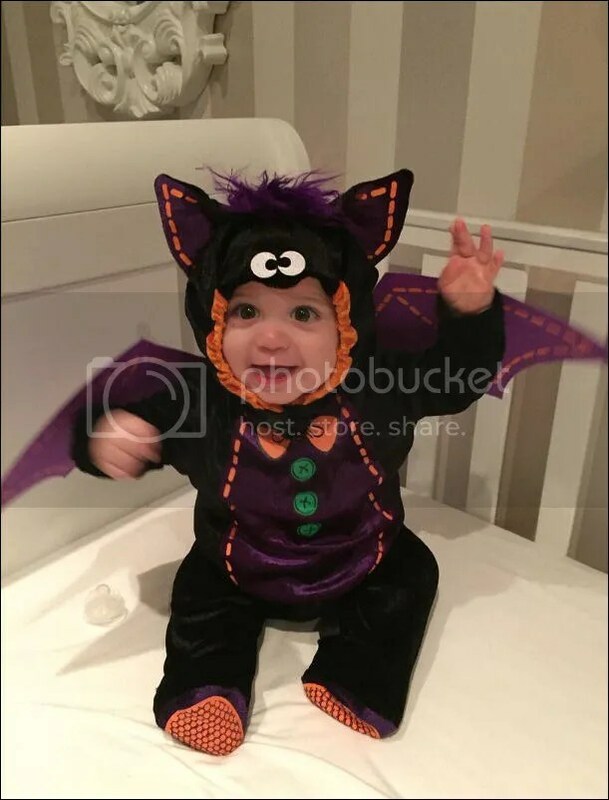 Keeping in the Halloween spirit, actress Helen Flanagan shared an adorable photo of 4 month old daughter Matilda Jessica dressed up as a bat. The costume was a present from Helen’s sister Jane. 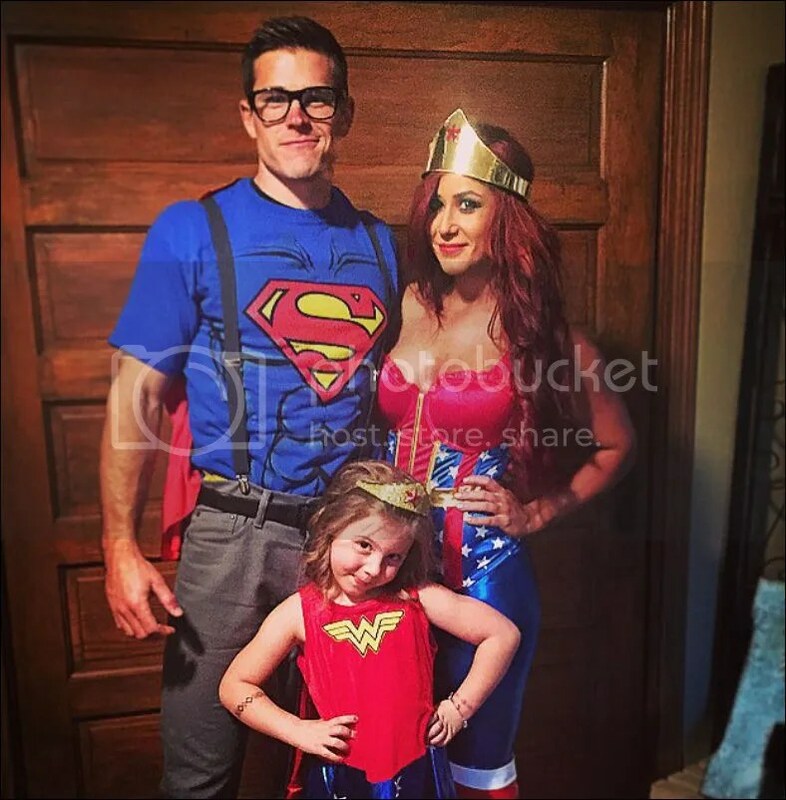 Celebrating Halloween, Teen Mom 2 star Chelsea Houska shared a snap of herself, boyfriend Cole DeBoer and daughter Aubree Skye, 6, all dressed up as superheroes Superman and Wonder Woman. Aubree’s dad is Chelsea’s ex boyfriend Adam Lind. Dressed up as Elmo, actress Jordana Brewster took son Julian out trick and treating for Halloween in Los Angeles on Saturday, October 31st. 2 year old Julian was dressed up as an Oompa Loompa. 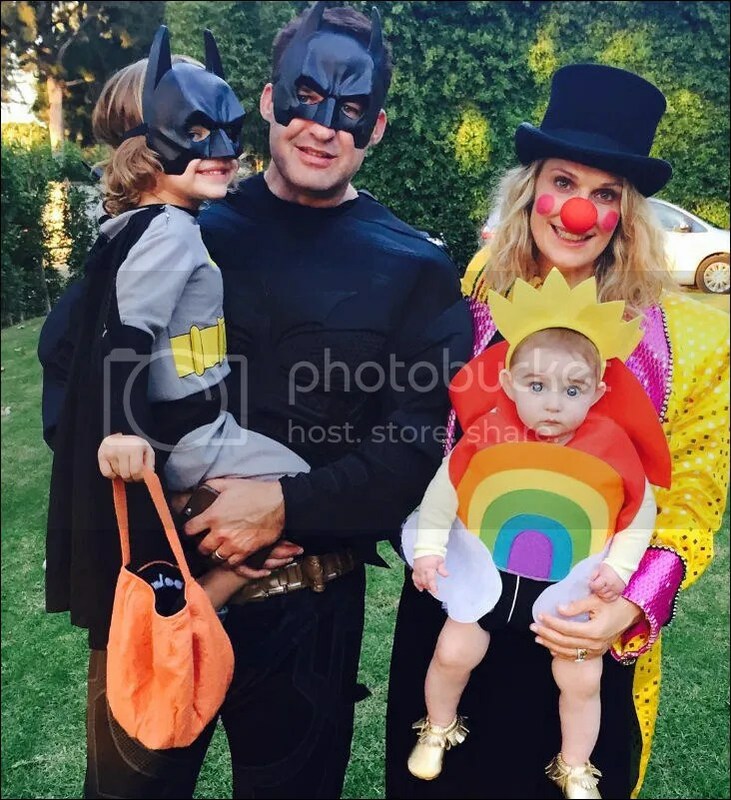 While out trick and treating in Los Angeles on Saturday, October 31st, model/actress Molly Sims shared a family photo of herself, husband Scott Stuber, son Brooks Alan, 3, and daughter Scarlett May, 7 months. 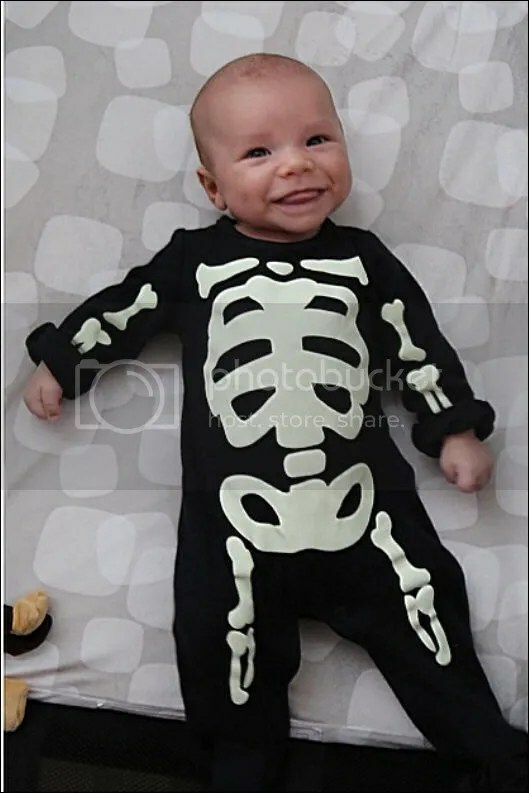 Celebrating her first Halloween as a mum, Glee star Naya Rivera posted this adorable photo of 1 month old son Josey Hollis dressed up in a skeleton outfit. This is the first photo the actress has shared of her baby boy since his September 17th birth. He even managed to give a smile for his debut. 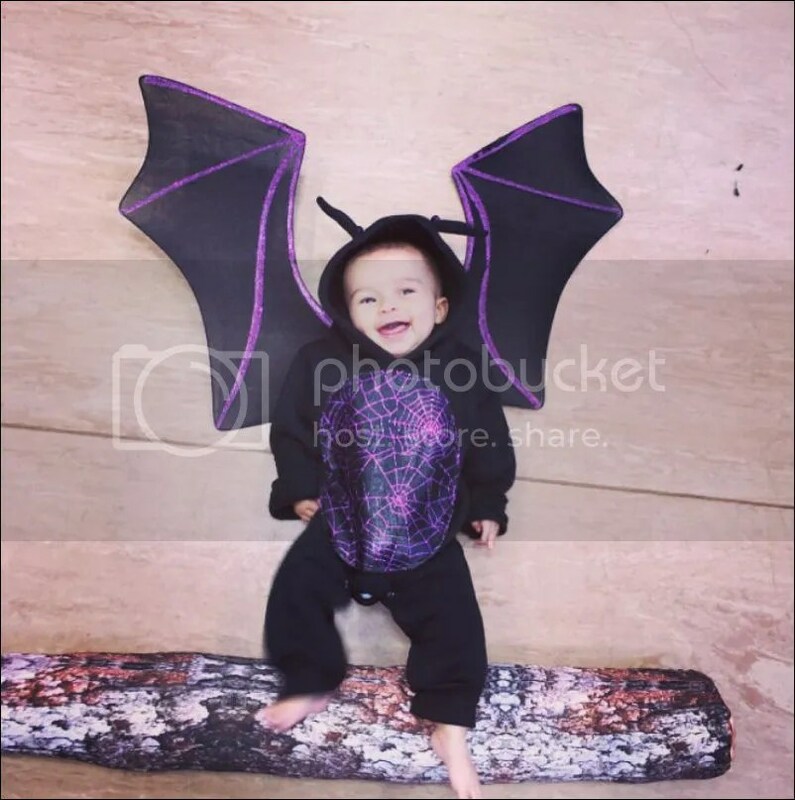 Celebrating her first Halloween as a mum, Coronation Street actress Catherine Tyldesley posted this adorable photo of son Alfie James, 7 months, dressed up as a bat. 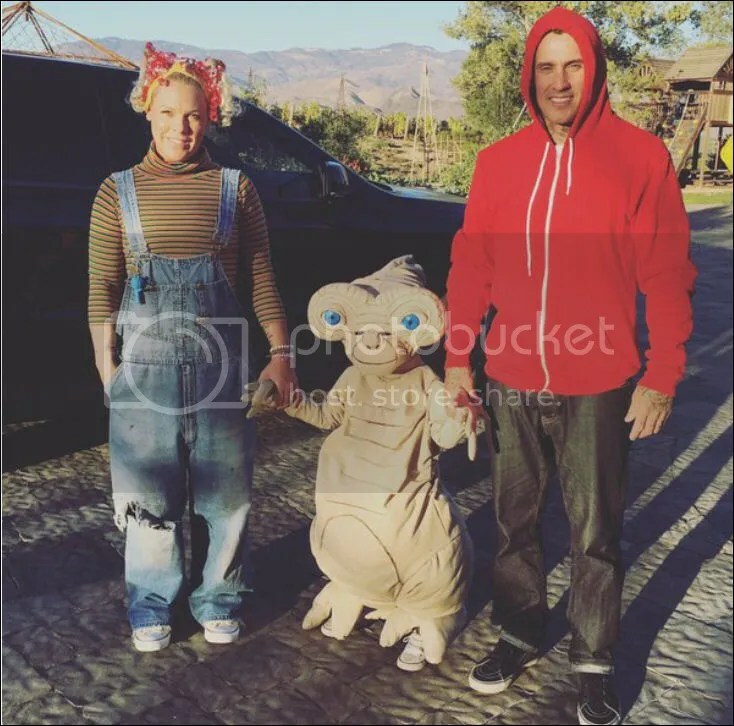 Celebrating Halloween on Saturday October 31st, singer Pink, husband Carey Hart and daughter Willow Sage, 4, dressed up as characters Gurtie, Elliot and E.T — from the classic film E.T. 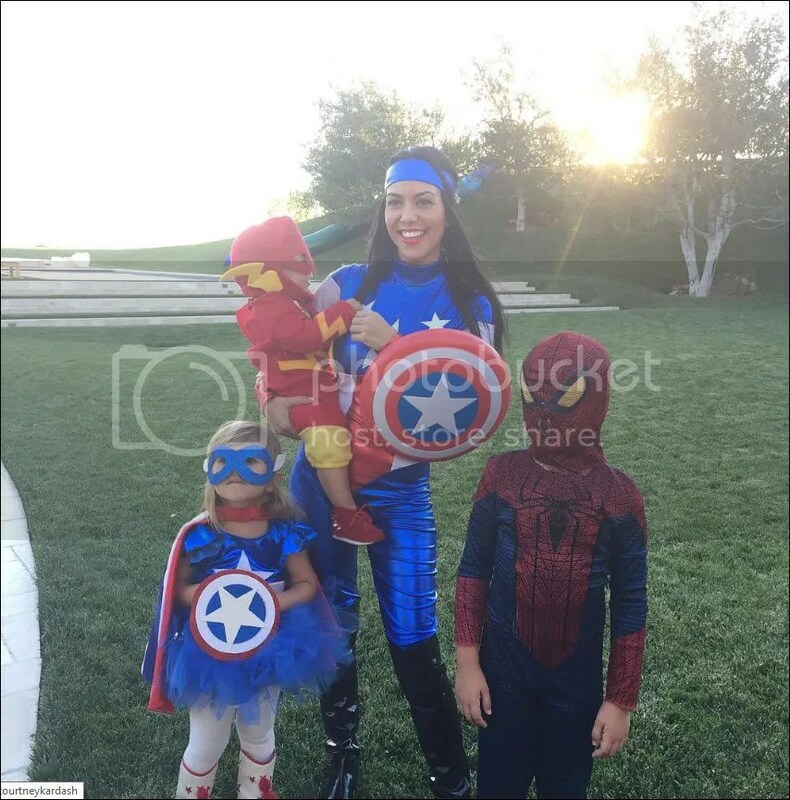 Celebrating Halloween on Saturday October 31st, Kourtney Kardashian posted a photo of herself with super hero children Mason Dash, 5, Penelope Scotland, 3, and Reign Aston, 10 months. Eldest son Mason opted to be Spiderman, little Reign was dressed as The Flash while the 36 year old and daughter Penelope chose Captain America. 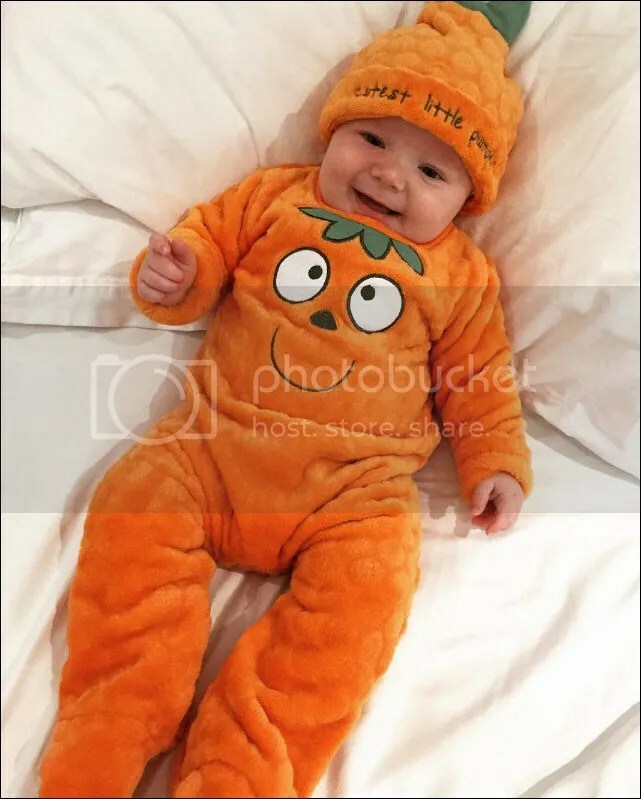 Celebrating her first Halloween as a Mum, reality TV star Billi Mucklow shared this adorable photo of smiling son Arlo Thomas, 4 months, dressed up as a pumpkin. Miow! Getting in to the Halloween spirit, Katie Price and daughter Princess Tiaamii Crystal Esther, 8, dressed up as a pair of cats on Friday, October 30th. The model is also mum to sons Harvey Daniel, 13, Junior Savva, 10, Jett Riviera, 2, and daughter Bunny, 14 months. 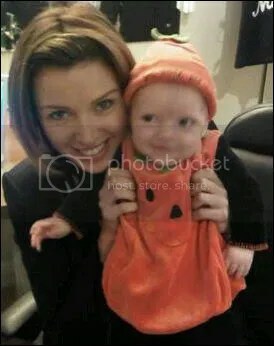 Helen Flanagan looked to be getting in to the spirit of Halloween when she shared a photo of herself and beautiful baby daughter Matilda Jessica, 4 months, next to a blown up Pumpkin on Thursday, October 29th. The actress also showed off her newly red locks. 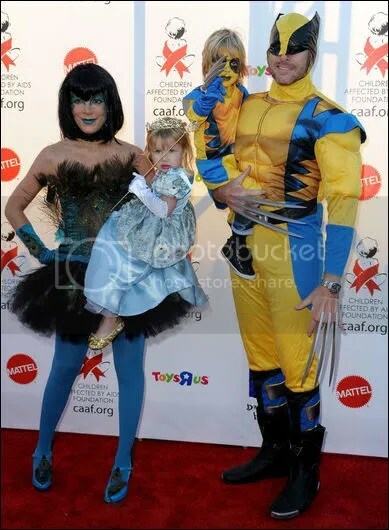 Actress Tori Spelling, husband Dean McDermott and children Liam Aaron, 3, and Stella Doreen, 2, attended the Children Affected by Aids Foundation [CAAF]’s 17th Annual Dream Halloween Event at Barker Hanger in Santa Monica over the weekend. 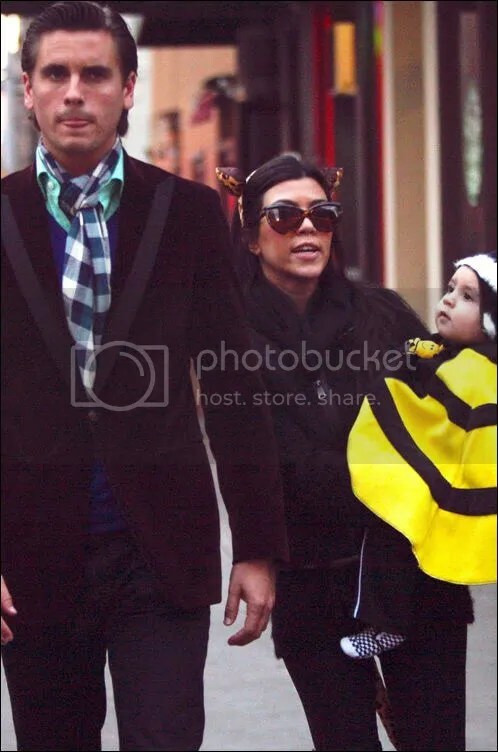 Kourtney Kardashian and boyfriend Scott Disick were spotted strolling in Manhatten, New York with their adorable son Mason Dash, 10 months — who was dressed up as a bumble bee during the day for Halloween. As night time approached for trick and treating little Mason’s outfit was changed to a frog prince while Kourtney opted for the pirate look. Singer Danni Minogue showed off her adorable son Ethan Edward, 3 1/2 months over the weekend. Dressed as a Halloween pumpkin, the little tot has already mastered a smile to melt. 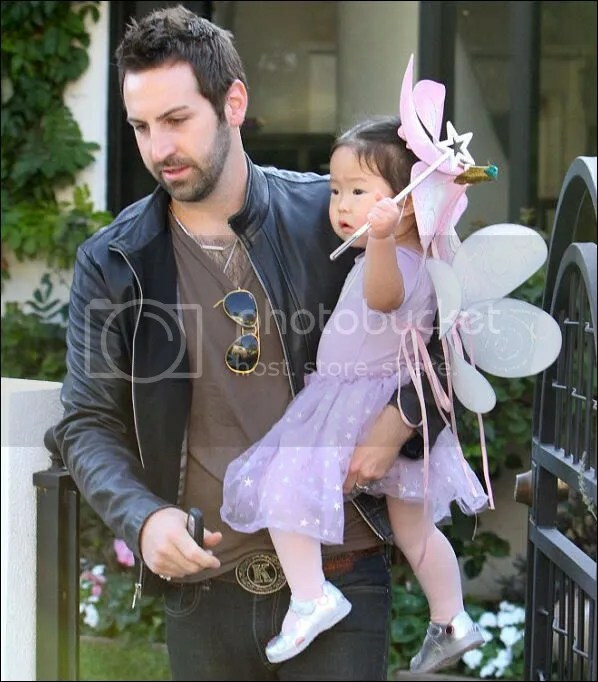 Musician Josh Kelley took his little fairy princess Naleigh, 1, trick and treating on Halloween’s Sunday, October 31st. Actress Sarah Michelle Gellar took her gorgeous 13 month old daughter Charlotte Grace trick and treating in Santa Monica on Halloween’s Sunday, October 31st. The super cute tot donned the full Dorothy from the Wizard of Oz outfit right down to the red shoes and toto in a basket.